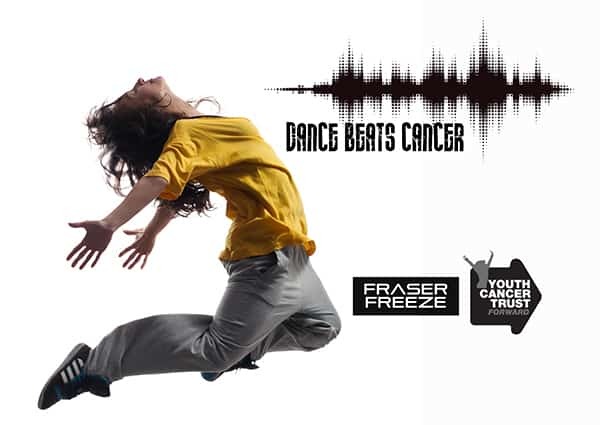 Please join the Youth Cancer Trust for a fabulous showcase of dancing of all genres. The event will take place at the Life Centre in Winton, to celebrate the filming, production and release of the Youth Cancer Trust film “Dance Beats Cancer”, which was created to depict the journey of a young person from diagnosis to the joy of recovery. This film will be entered into the Charity Film Awards, for which voting will take place in Nov 2018. Please contact wendy@yct.org.uk for more information. We will post more details here soon.